Search the contents of your files not just the file names. 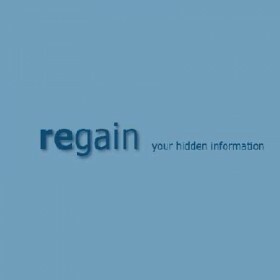 Regain is a search engine similar to web search engines like Google, with the difference that you don't search the web, but your own files and documents. Using regain you can search through large portions of data (several gigabytes!) in split seconds! This is possible by using a search index. regain crawls through your files or webpages, extracts all text and puts it in a smart search index. All this happens in the background. So if you want to search something you get the results immediately. ´regain´ is a fast search engine on top of Jakarta-Lucene. It crawles through files or webpages using a plugin architecture of preparators for several file formats and data sources. Search requests are handled via browser based user interface using Java server pages. ´regain´ is released under LGPL and comes in two versions: 1. standalone desktop search program including crawler and http-server 2. server based installation providing full text searching functionality for a website or intranet fileserver using XML configuration files.